Adding new ringtones is one of the easiest and most fun ways to customize your iPhone. Whether you want to change the default tone used for all calls or assign a different ringtone to everyone in your address book, the iPhone makes it easy. Every iPhone comes loaded with a couple dozen standard ringtones, but they're pretty basic. If you want something more specific — say, a catchphrase from your favorite TV show or the chorus of your favorite song — you have to get it yourself. There are apps that let you create ringtones from songs you own, but what if you don't want to create a ringtone (or there's no song available, like with a TV show)? The section for it is hidden away, and so not everyone knows about it, but the iTunes Store sells pre-made ringtones just like it sells music. Even better, you can buy these ringtones from the iTunes Store app that comes pre-installed on every iPhone. Buy a ringtone there and you can start using it as soon as it's downloaded. 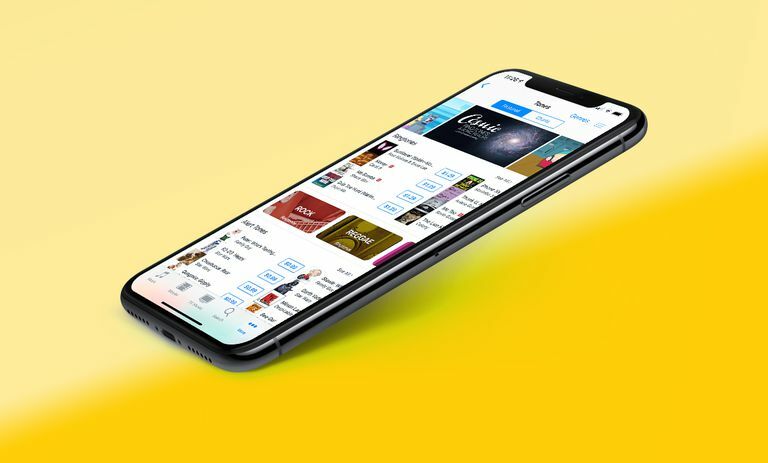 Locate the iTunes Store app and tap it launch the app. Tap the More button at the bottom right corner. Tap Tones to go to the Ringtones section. Tap the Genres button at the top right corner to browse ringtones by genre. Once you've found a ringtone or category you're interested in, tap it. Tap the Search button in the bottom menu. Search for the thing you're looking for. On the search results screen, tap the Ringtones button just beneath the search bar. The search results screen loads again, this time just showing ringtones that match your search and nothing else. Once you've found the ringtone you're interested in, there a few things you can do. First, you can listen to a preview of the ringtone. Do this by tapping on the album art at the far left of the listing for the ringtone. If you tap the name of the ringtone, the ringtone will play a short preview. You can stop it by tapping the playback button again. Tap the price next to the ringtone. A window pops up that offers to make this ringtone your phone's default ringtone, to make it the default text tone (the alert that plays when you get text messages), or assign it to a specific person. If you don't want to do any of those things right away, just tap Done to continue buying it. You may be asked for your Apple ID password (or to authorize via Touch ID or Face ID). If so, enter it and tap OK. In a moment, the purchase will be completed and the ringtone will be downloaded to your iPhone. You can find it in the Sounds section of the Settings app.